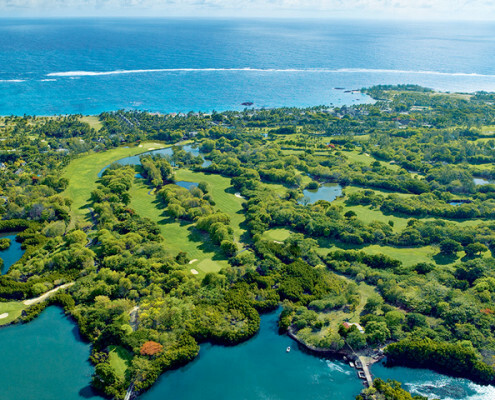 The luxurious five-star Constance Le Prince Maurice is set within 60 hectares of unspoilt private land, amidst the rare and luxurious vegetation of the tropical gardens. 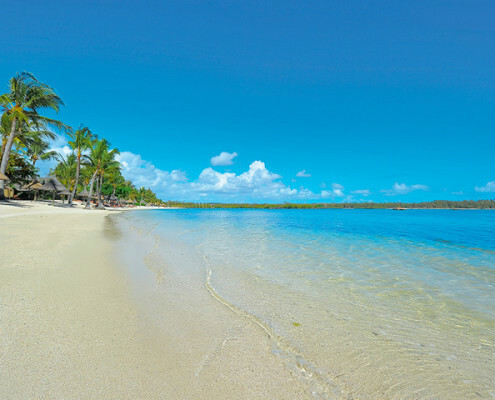 The calm turquoise lagoon blends perfectly with the fresh green surroundings and the secluded beaches of brilliant white sand. 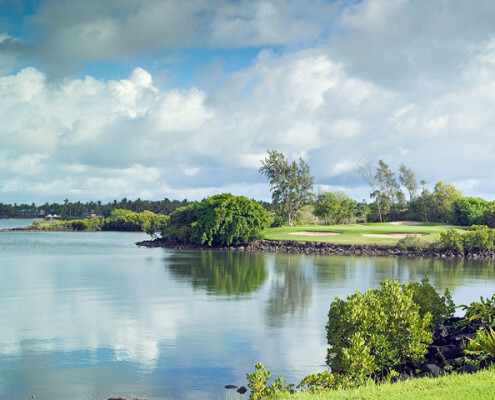 Constance Le Prince Maurice is located on the north-east coast of Mauritius and is 45 km from the airport and 35 km from the capital, Port Louis. Experience the ultimate romantic hideaway where stunning architectural design meets relaxed luxury. 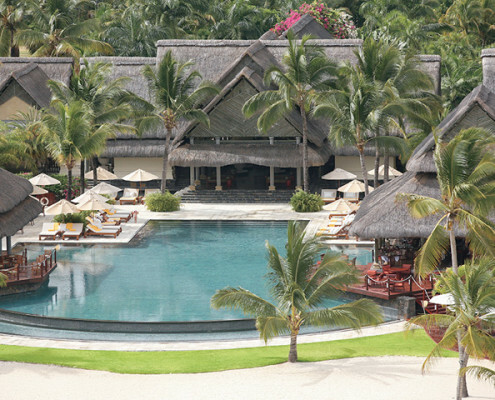 Move into this luxurious paradise and choose from a selection of Suites, Villas or the opulent Princely Suite. 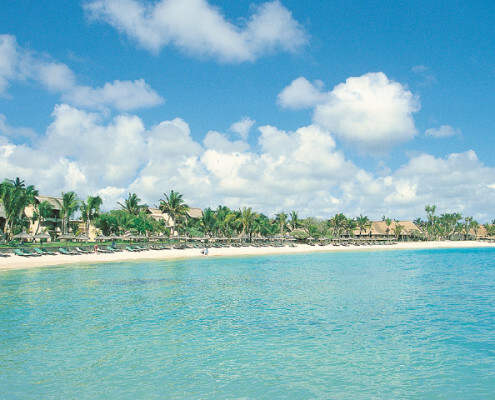 All rooms are elegantly furnished and provide either a view over the blue ocean or tropical gardens. Each suite features air-conditioning, bathroom with bathtub, double vanities, separate shower/WC, hair dryer, minibar, safe, desk, satellite TV, Hi-Fi, telephone, Apple Mac mini, complimentary WIFI internet access, furnished terrace or balcony. The magnificent Princely Suite is located directly on the beach in a secluded part of the hotel grounds and offers utmost privacy. This spacious Suite has three individual terraces each facing a different part of the ocean and the lagoon. In addition to being similarly equipped to Suites and Villas, the Princely Suite offers a kitchenette for service staff, terraces with dining/seating area and 2 heated private pools. 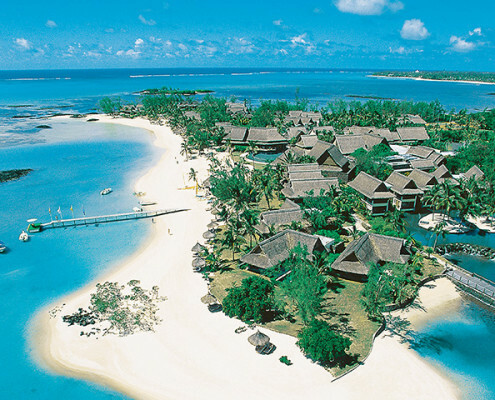 Constance Le Prince Maurice offers a delicious range of Mauritian-influenced and international cuisine served in a selection of restaurants. 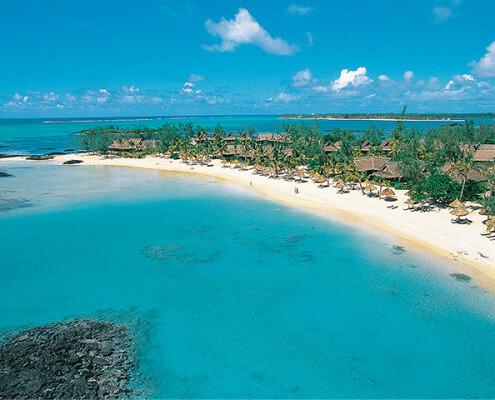 Elegant à la carte dining with Mauritian enhanced gourmet food and themed buffet dinners are offered at L’Archipel. Seafood is the speciality at Le Barachois, our floating restaurant overlooking the lagoon with an unspoiled view of a mountain range and the breath-taking sunsets. The Asian Restaurant offers a vast range of Asian specialities. A choice of bars will provide the perfect setting for that sundowner while taking in the stunning ocean views. 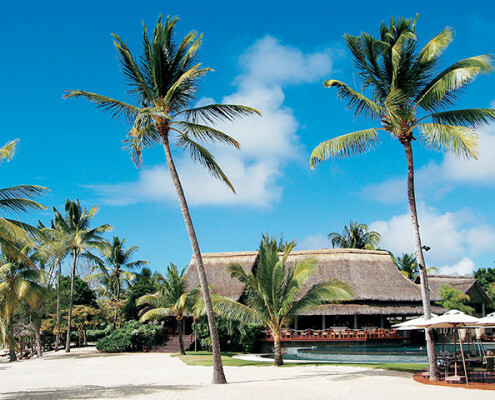 The lively Laguna Bar overlooks the pool and the beach and has two sundecks. The bar has live entertainment every night. Enjoy good music in a beautiful and peaceful atmosphere on the Floating Bar or sample a cocktail at the Lotus Lounge bar. Our wine cellar adjoining the L’Archipel restaurant is dedicated to exclusive wines from around the world. A dedicated area for wine tasting with cupboards for cheese and a delicatessen make the cellar a favourite for wine lovers. Swimming pools, gym, windsurfing, Hobie Cat, Laser boats, snorkelling, glass bottom boat, kayak, waterskiing, pedalos, floodlit tennis courts, bicycles, golf, practice putting green, Scuba diving (PADI & CMAS), Catamaran cruises, kite surfing, parasailing, deep sea fishing, fly fishing and Catamaran cruises. 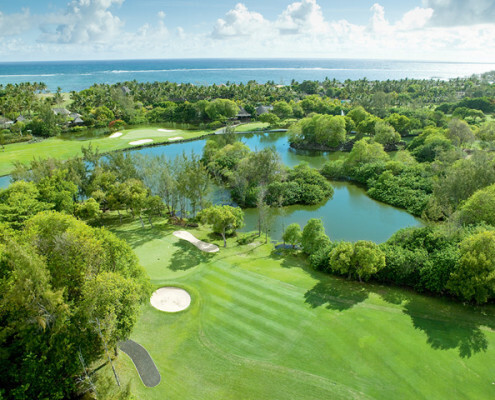 Constance Le Prince Maurice is a short drive from the two 18-hole championship golf courses at Constance Belle Mare Plage: the 6014m Par 72 Legend and the 5942 Par 71 Links course. 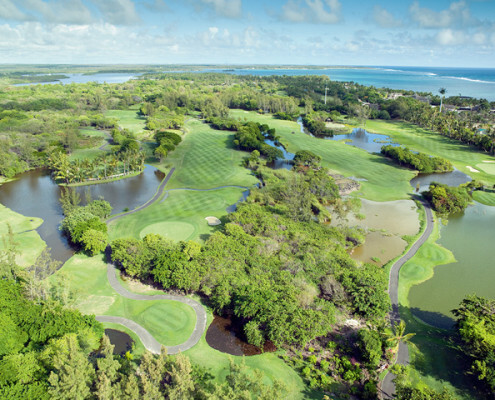 Green fees are free of charge for Constance Le Prince Maurice guests and golf cars are available. Golf or tennis lessons are also available as is equipment for hire. The elegant U Spa at Le Prince Maurice is set in a tranquil corner of the gardens and centred on a stone courtyard with a calming heated pool. Treatments combine massage rituals from all over the world and the power of aromatherapy to reunify body and mind. Relax, rejuvenate, detox, rehydrate or simply enjoy – the choice is yours. Our highly skilled team is at your disposal to help you decide which treatments are best suited to your needs. 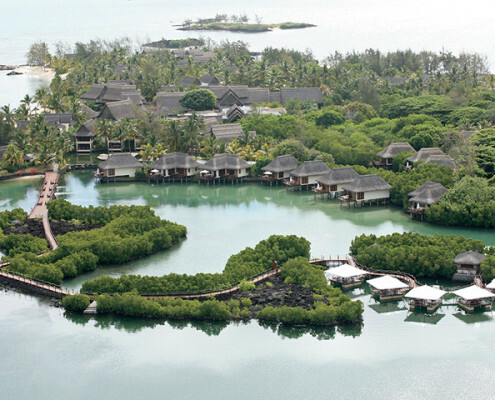 Choose from a wonderful range of U Spa Classic massages, facials and body treatments using our aromatic natural products inspired by plants from the Indian Ocean, or pick from collections we’ve made exclusively available at Constance Le Prince Maurice. Other treatments available are devised to combine medical chiropody with glamorous and luxurious pedicures and manicures. U Spa facilities include a state of the art gym, single and double treatment rooms, heated pool with sun loungers, Sauna, steam room, cold plunge pool and Hairdresser. 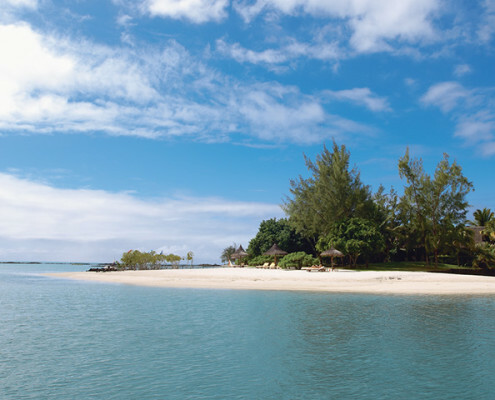 From the elegant and beautiful design, to the intimate suites and romantic restaurants, Constance Le Prince Maurice is the perfect choice for a wedding or honeymoon. As you enter the gates of the resort, you’ll be struck by the peaceful and wonderfully indulgent atmosphere that pervades all. We can organise all the details of your wedding or honeymoon with you, to ensure you have that perfect time you’ve always dreamed of.